Father Joseph MacDonald, OFM Cap., was born to Margaret (Hawkin) and Joseph MacDonald on June 1, 1933 in Glengarry County, Alexandria, Ontario and named Alastair Duncan Timothy Joseph MacDonald. Fr. Joseph as he was commonly known, was a dear brother to Lorraine (Frank Mullin), and predeceased by his sisters, the late Eileen McCullouch, Bernice Barta and Audrey MacDonald. Fr. Joseph will be sadly missed by his many nieces, nephews and grand nieces and grand nephews. Fr. 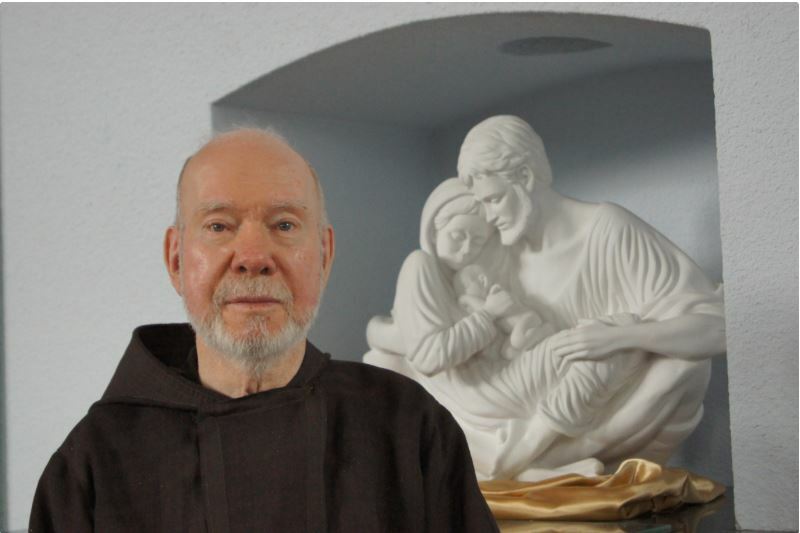 Joseph began his religious life as a Capuchin Franciscan friar in June 1958 as a Postulant at St. Francis Minor Seminary in Blenheim ON, continuing to Novitiate at St. Conrad Friary in Annapolis Maryland, where he took the religious name, Joseph of Greenfield. On July 14, 1963 he made his Solemn Profession at St. Peter & Paul’s Monastery in Cumberland Maryland and two years following celebrated his Ordination by Bishop Francis Marrocco on October 23, 1965 at St Philip Neri Parish, Toronto. Fr. Joseph was probably best known for his work with people suffering from chronic mental illness which lead to the establishment of Poverello Charity in 1969, a work for which Fr. Joseph’s was awarded the Order of Ontario in 2012. He was a member of ACTheals and recipient of the order of Canada. He was a long-standing member of ACTheals, the Association of Christian Therapists in the Canada region. Fr.Joe MacDonald was dining at the Mandarin restaurant, when he seemed to choke on his food, he slumped over and probably had a massive heart attack. He was certified deceased at Scarborough General Hospital. He was awarded The Order of Canada for his work with the poor. Funeral Mass on Tues July 17th at St Philip Neri Church at 11am and his Internment on Wednesday July 18th in Blenheim, Chatham-Kent Torono.